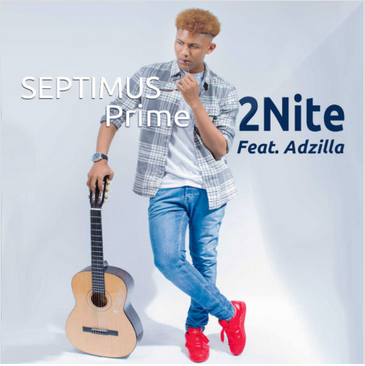 Septimus Prime is a young UK Artist from Sierra Leone and the feat. 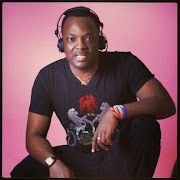 Rapper Adzilla is from Nigeria on new single title 2Nite. 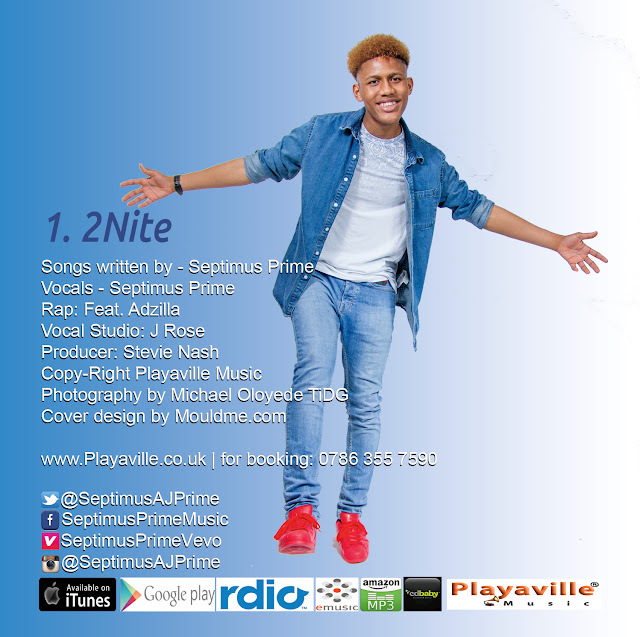 Septimus was a former football player at Charlton Athletic Academy from the age of 10 until he was 15. However at the age of 15 he suffered from a heart problem that prevented him from playing football. Septimus however did not dwell on the fact that he couldn’t play football anymore but found the voice deep inside him that had been dormant for so long and took up singing and ultimately fell in love with music. In September 2014, Septimus became the head of charity called PL9, a charity made in memory of a 16 year old boy called Phillip Lamin who had died whilst playing football due to heart failure. The charity has since raised over 10,000 pounds through fundraisers and events, in which some were led by Septimus Prime. Septimus has said that he wants to use his story to inspire others that when life sometimes creates problems, we should never give up and fight until the end a message that has inspired many of the young people across the nation.